There is a place, like no place on earth. A land full of wonder, mystery, and danger. Some say, to survive it, you need to be as mad as a hatter. Which, luckily, I am. Lewis Carroll, born Charles Lutwidge Dodgson, wrote the classic Alice’s Adventures in Wonderland in 1865 introducing the world to a variety of colorful characters including The Hatter. 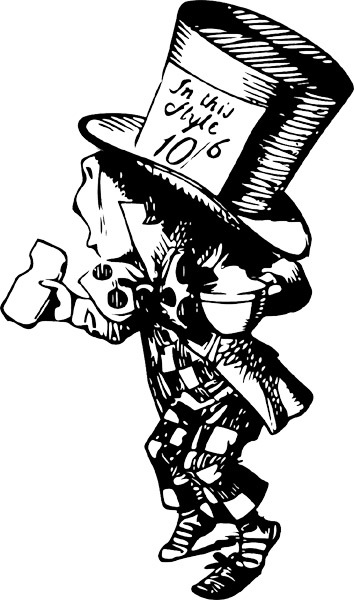 In many illustrations, The Hatter is seen wearing a card “In this style 10/6” in his hat band. Although The Hatter seems quite stylish he doesn’t own the hats but wears them to sell. This card is a price tag indicating the cost as ten shillings and six pence. 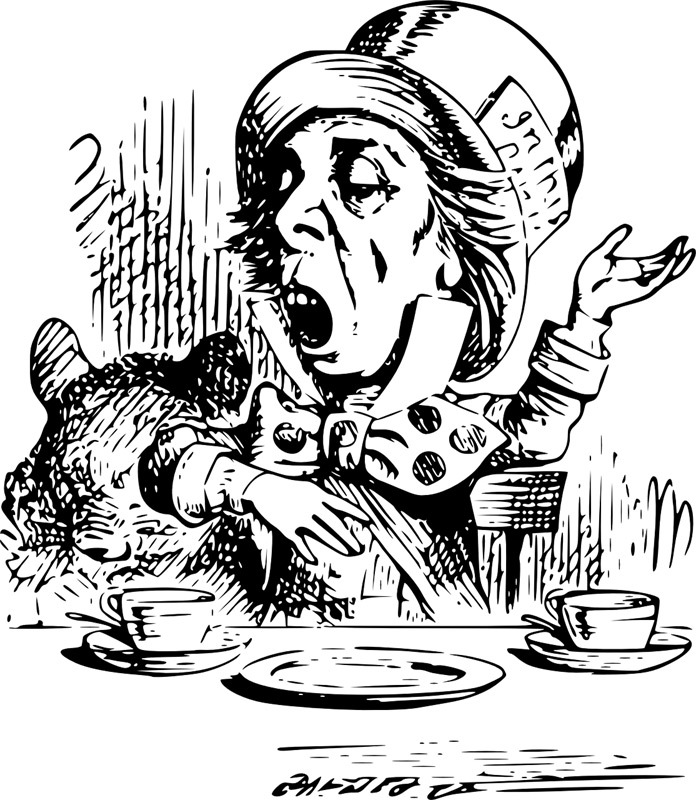 We, however, have turned 10/6 into the day to celebrate Lewis Carroll’s Mad Hatter. But where does Mad Hatter, or Mad as a Hatter, come from. The phrase never appears in Lewis Carroll’s books. The term has its origins in hat making. At one time Mercury was used in the hat making process. This metallic element is easily absorbed through the skin causing mental instability and tremors. Once mad hatter syndrome was recognized as a health issue the use of mercury was banned from the hat making process. Now you too can be a Mad Hatter, without the Mercury poisoning, with one of our Top Hats!